Fulldraw Outfitters owner/operator, Fred Eichler, has guided hundreds of elk hunters in the pristine mountains of Colorado. With a success rate that keeps him booked well over a year in advance, Eichler's track record proves his proficiency at filling his client's elk tags. Beyond the success stories, Eichler has also seen his share of elk hunters who wished they'd changed a few things, including their physical conditioning and gear, before they started chasing elk in Colorado's higher elevations. "It's not always the big things that make a difference in a successful elk hunt," Eichler notes. "It's the accumulation of small details." 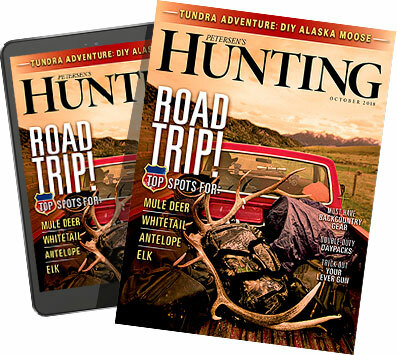 Eichler offered five recommendations for anyone headed on their first guided elk hunt. While these five "musts" may seem insignificant at the moment, when on an elk hunt, they could make the difference between tag soup and a trophy bull. Fulldraw Outfitters is known for accommodating any type of hunter — old or young. Across the years Fred and Michelle have made sure their guides take exceptional care of each and every client. From the pace of the hunt to the terrain being hunted, the Eichlers specialize in tailoring each hunt to both the hunter's physical abilities and hunting preferences. "One of the biggest challenges elk hunters from the Midwest face is the drastic change in elevation," Eichler states. "I've seen guys who were the epitome of health, but on the mountain, they couldn't keep up." While hosting seminars across the Midwest, Eichler is often asked what type of training is the most important when preparing for an upcoming elk hunt. Without hesitation his answer is always the same, "In my opinion, cardiovascular training is the most important." When planning a Western elk hunt, Eichler recommends taking the time to do regular cardio. Whether it's walking, running or biking, these types of exercises will help to prepare your heart and lungs. When it comes to footwear, Eichler is emphatic, "No matter what else a hunter does, he or she needs to bring boots that are broke in." A pair of quality hunting boots will be your best friend on the mountain. After a day of climbing, side hilling, or traversing downhill, you'll be very thankful you didn't scrimp on boots. When your feet are on uneven ground for hours each day, a comfortable boot will make your hunt all that more enjoyable. If purchasing new hunting boots, buy them a few months in advance so you have time to get them broke in. Wear them a few hours each day in order to get the boot fitting properly and your foot accustomed to the boot. Wearing a well broke in boot will help prevent potential blisters and hot spots. Both Eichler and his guides prefer boot brands such as Kenetrek, LOWA and Meindl. This type of boot offers an aggressive sole, full leather upper, superior ankle support and rock guard. After trekking for miles on shale, muddy ground, and loose dirt, you'll be glad for a solid platform under foot. Fall weather can bring unexpected rain in a matter of moments. If combined with cold temperatures, wet clothes can drop your core body temperature significantly, resulting in a miserable hunt. The good news is you don't have to be cold and wet when it's raining. Eichler recommends buying quality rain gear designed to be part of a layering system. This type of rain gear is lightweight, packable and can also be worn under a quieter outer layer when attempting to stalk your quarry. "Unfortunately, hunters come out here and when they walk, their rain gear makes a lot of noise. They just don't understand how important it is to remain stealthy," Fred says. Investing in a quality rain gear, such as offered by NOMAD or KUIU will insure your gear is quiet, provides superior moisture wicking capability, along with allowing you to stay dry if Mother Nature decides to dump buckets of rain on your hunt. Glassing for elk in the high country, ranging critical yardage and settling the crosshairs on your trophy bull, are all part of what it takes to notch an elk tag. The success of the hunt could very well depend on whether you can see through your bino's, rangefinder, or scope in less than favorable conditions. "Low light conditions are what separates the good from the bad," Fred says. "I've seen many hunts that ended with disappointment because of a poor choice in optics." Fred recommends buying quality optics like those offered by Leupold. With a reputation for dependability, manufacturers such as Leupold provide confidence that when the opportunity presents itself; your equipment will perform without a flaw. Whether you choose to hunt elk with a bow or firearm be prepared for shot opportunities to happen fast. In a split second you may have to judge critical yardage and make target acquisition. This requires you to know the affective range of your gun or bow and the projectile's trajectory. When seconds count, there's no time for guessing. In preparation for an elk hunt, practice at yardages that may exceed your expected shot distance in order to become more confident and proficient. "A scope with a turret that offers quick yardage adjustment is ideal," says guide Ryan Solomon. "I can give my client the yardage and all they have to do is click it in. When shooting longer distances seconds count, and if the client has optics with this type of capabilities, they can add time to the clock and insure better accuracy." When using a firearm, consider using a scope that allows for quick adjustment and has integrated bullet drop compensation. Optics such as Leupold's all-new Custom Dial System (CDS) offers the kind of accuracy you'll want to have when chasing wapiti. The CDS will take out the guesswork and instill confidence for both you and your guide. While nature may have the last say, it's always in order to prepare as if every hunt will end in success.